The MTM mission is to manufacture and deliver products that meet the unique needs and expectations of each customer. To that end, we have successfully built a solid foundation and infrastructure for custom contract manufacturing. Quality Policy. McAllister Tool and Machine is committed to providing our customers with quality products and services that represent the best value. 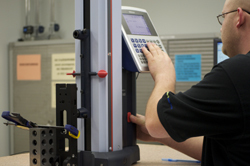 To achieve this goal, we have developed and maintain an ISO 9001:2008 and AS9100-based QMS that includes processes, process controls, and measurable quality objectives and targets. Furthermore, we strive to maintain and improve a cooperative work environment that is conducive to meeting customer requirements, enhancing customer satisfaction, and continually maintaining and improving the effectiveness of our QMS. Customer satisfaction, quality, continual improvement, and a higher code of conduct, are the personal responsibility of each employee. 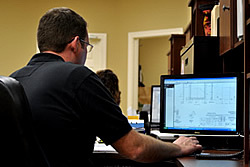 At MTM, we stay on the cutting-edge utilizing highly accurate data collection software for measurement reporting. This has increased shop performance and allowed MTM the ability to access real-time APC data with alerts for variation management. Searching for innovative solutions that not only save the customer money but improve shop performance and reduce scrap and waste is MTM’s priority one!